The magician borrows a tie from a member of the audience. 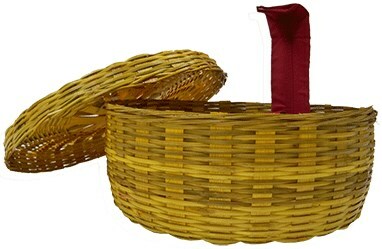 The tie is placed into a wicker basket. The magician casts a sell upon the tie... then, slowly and magically the tie starts to rise out of the basket like a snake under the spell of a snake charmer. (The cobra tie can even reveal a card selection.) The tie then lowers itself back into the basket and is then given back to the audience member. The mechanical gimmick inside basket makes his effect is very easy to perform.